One of the funniest outdoor experiences I have ever had was at the beginning of a Colorado River float in Radium, Colorado. My family was loading into a raft with a guide and another family when the guy from the other group asked the guide “So, do we end up in the same place when we finish?” The guide, who had likely heard everything, was gracious and explained that it’s about impossible to float down a river and end up where you started. To this day my kids still laugh at the question and will ask me the same thing every time we launch a raft or tube. We didn’t canoe on our visit but we did hike the network of spur trails to a spectacular overlook and down to a close up look at a carved tunnel that provides a short cut for the river designed to power Montgomery Bell’s iron forge in the 1800’s. It’s a beautiful place for a relatively short hike (2.1 miles in all) close to the city – and the perfect length if your hiking ambition had to be downsized from spending a little too long in the Honky Tonk bars on Broadway the night before. I couldn’t do a better job of describing the trails than an existing blog that I used, so I will simply provide a link here. 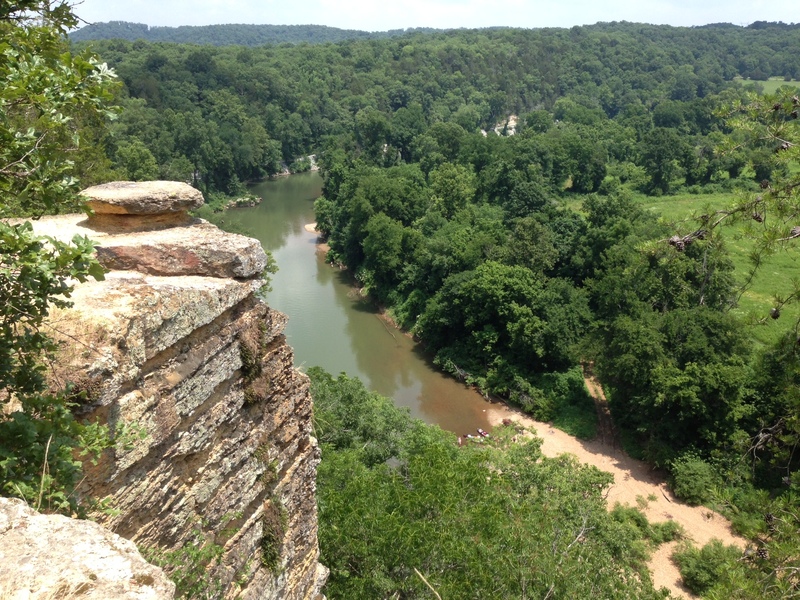 This entry was posted in Uncategorized and tagged Narrows of Harpeth, Tennessee Hiking. Bookmark the permalink.